Florence offers a real culture fix and it is no wonder that this Italian city attracts crowds around the clock. For art lovers, this cradle of Renaissance is a must see destination offering a huge volume of world-class art and an abundance of museums, galleries, monument, churches and historic buildings. However, Florence offers many more delights and is internationally recognized for the high quality of its food and wine. 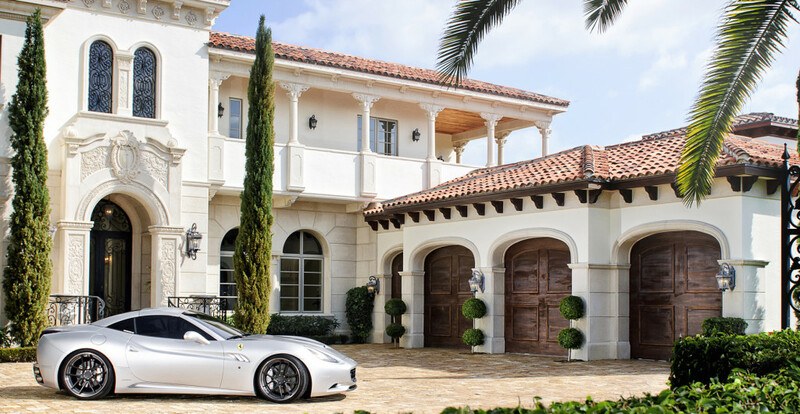 Living in style comes naturally in Florence and with a rich selection of prestigious makes and models of top performing luxury cars available at Empire Luxury Club – life can hardly get any more opulent. This capital of the Italian splendid region of Tuscany is famous for its history and the historic centre of Florence is a well-known World Heritage site declared by UNESCO. Florence is often ranked as one of the most beautiful cities in the world thanks to its artistic and architectural heritage. This romantic and busy small riverside city, offers many excellent escapes into the wine-rich hills around it. Rent a luxury car in Florence and hop inside a strong and powerful Mercedes Benz SLK 350 for a pure driving joy and head out. For true luxury car enthusiasts, driving in Italy is one special experience. This is especially true when you hop inside a beautifully crafted all Italian Ferrari such as the Ferrari FF and Ferrari California T for a spectacular mix of performance and aesthetics. Empire’s luxury car rental Florence service can meet all personal tastes and appetites. Choose a luxury car hire Florence to meet your temper and character and on a beautiful warm day, Florence heritage buildings and famous monuments will serve as the perfect back drop when you head out for a hearty lunch into one of the world’s most picturesque countryside. The city, synonymous with art offers plenty of non-arty things to do. Florence offers excellent shopping for high-quality leather goods. The entire region is known for its exquisite craftsmanship and leather products. When done with shopping book our luxury car hire Florence service and take out a Jaguar F Type S, an Audi S5 Cabriolet or a Porsche such as Porsche 911 Turbo S Cabrio and visit one of the prettiest coastal villages – the world famous Cinque Terre. These fishing villages are perfect picture postcard. Hanging on a rugged part of the coast on Italian Riviera the villages they are reached by driving through Tuscany and into Liguria. There are five villages Manarola, Vernazza, Corniglia, Riomaggiore and Monterosso al Mare. The drive is to say the least spectacular with panoramic views of the sea. You’ll need to park in La Spezia and make your way to the villages, as the historic centres are not accessible to anyone by car. Florence with its prime location in Tuscany, serves as the perfect base to take some time off and indulge in a wine tour in the world’s most loved wine region – Tuscany. Living a life of luxury doesn’t get easier than in a region that is famous for its picturesque landscapes and incredible produce. This luxury car rental Italy option gives you an opportunity to hire a comfortable and luxurious vehicle such as the Porsche Cayenne and take a scenic drive through the Tuscan countryside. Explore Siena – famous for its medieval streets and San Gimignano – a UNESCO World Heritage Site, Pisa where you can admire the famous Leaning Tower. Travel along the panoramic roads of famous Chianti region to Siena. Stop at vineyards, olive groves and wine cellars. Feast on local cuisine and renowned local wines and enjoy a fabulous day in world’s most attractive countryside our luxury car rental Florence service.